Thank you for coming to see Hamlet! Skillfully directed by Carla Spindt, the famed story of the Prince of Denmark was reimagined to feature an all female cast of students. 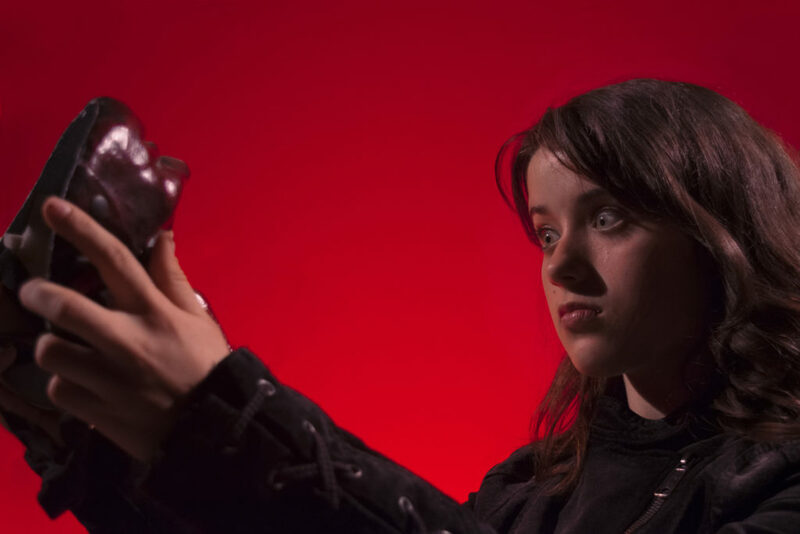 Set in a dystopian future, the play follows the story of Prince Hamlet, who comes home to find that his uncle, Claudius, has taken his place on the throne and has married the Queen after the passing of his father. As if this were not distressing enough, the ghost of his father appears to him and imparts the secret that Claudius was the one who killed him. Hamlet must decide what to do when asked to properly avenge his father’s murder. The captivating tale took to the stage of Conservatory Theatre Ensemble on October 10th and ran through the 14th. 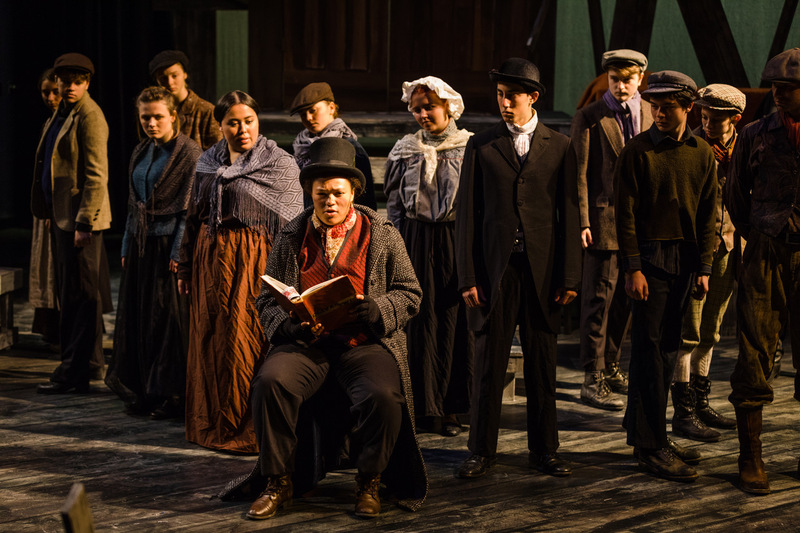 This adaptation, by Neil Bartlett, was beautifully directed by Stephanie Hunt and involved a very talented cast and crew of students from Tamalpais High School. 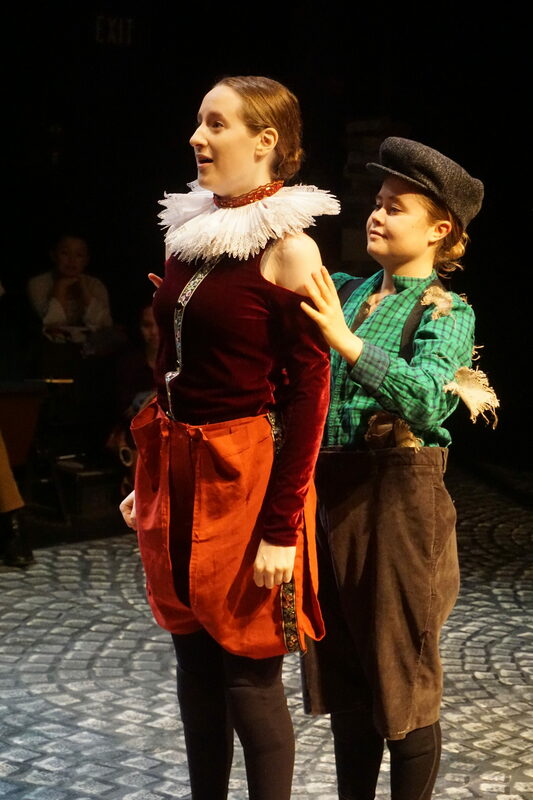 Set in the bewitching time period of the original story, the play follows the life a young orphan, Oliver Twist, as he goes from worker to apprentice to thief in a struggle to survive. Twist’s desperate search for a caretaker artfully points out the injustice that was dealt to both the young and the poor during Dickens’ time, and balances the ideas of danger and fear against innocence and hope. Neil Bartlett has been making rule-breaking theatre and performance since 1983. After a controversial early career he was appointed Artistic Director of the Lyric Hammersmith in London in 1994; since leaving the Lyric in 2005 major cultural producers he has worked for theatres including the National Theatre, the Abbey in Dublin, the Bristol Old Vic, the Manchester ROyal Exchange, the Edinburgh International, Manchester International, Brighton, Aldeburgh and Holland Festivals, the Wellcome Foundation, and Tate Britain. Thank you for coming to see our spring one acts! 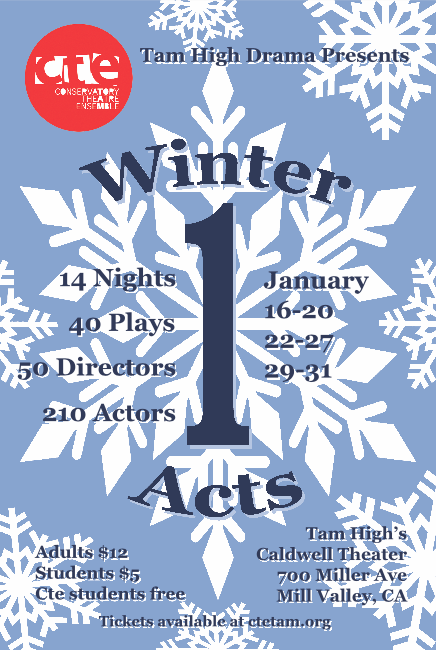 Our exciting One-Act Festival featured 40 one acts in 12 nights all written, directed, and performed by students in the CTE ensemble. Every night of our festival is always a new combination of comedy, tragedy, and absurdity. Thank you for coming to see Sense and Sensibility! CTE presented “Sense And Sensibility” as the first show of the 2016-17 season. 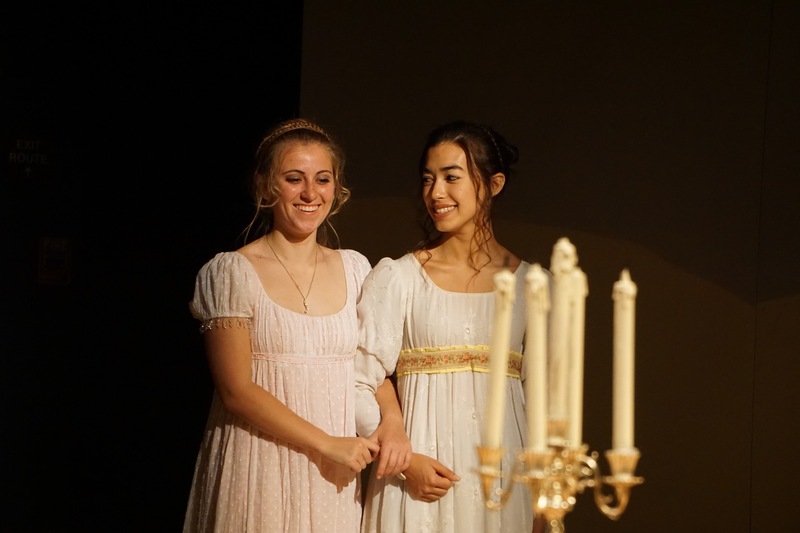 The play is adapted from Jane Austen by Kate Hamill and was here directed by Bay Area veteran theatre artist, Carla Spindt, a guest artist at CTE. Thank you for coming to see Beowulf! Shows begin at 7:00 PM. Seating is first-come, first-served when the doors open at 6:30. Tickets can be purchased in person at the box office before the performances. 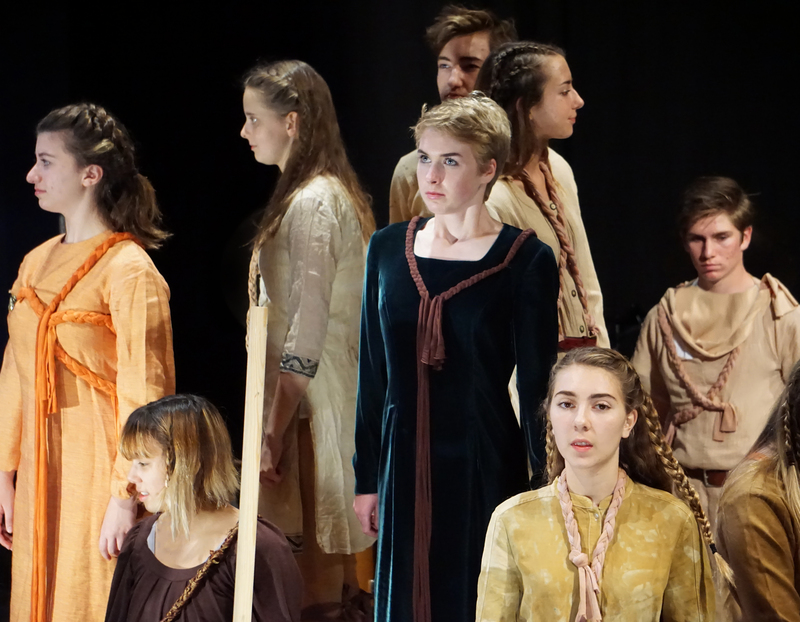 Tamalpais High School’s Conservatory Theatre Ensemble opened its 40th anniversary season with a new adaptation of Beowulf. This version featured a cast of twenty, live percussion, songs, stage combat, and dynamic physicality. 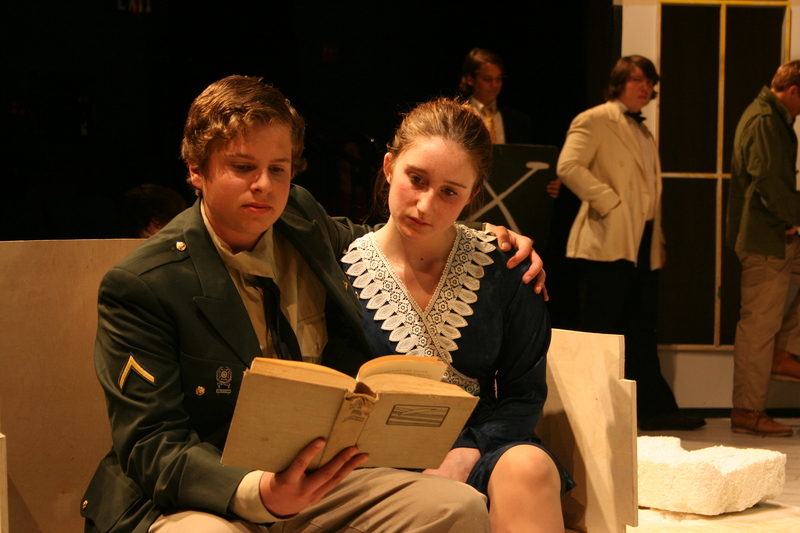 The cast included tenth through twelfth graders enrolled in CTE Tam’s advanced drama classes. The production was fully student designed and produced. Percussionist and guest artist Jason Lynn created an original drum score for the cast to play as they accompany the action of the play. Thank you for coming to see The Prince and the Pauper! Just in time for the holidays, Conservatory Theatre Ensemble presented a classic tale from the beloved canon of Mark Twain. The story is about a poor boy and a lonely young prince who exchange identities that produce entertaining situations as they gain new perspectives on their lives in Merry Old Tudor England. 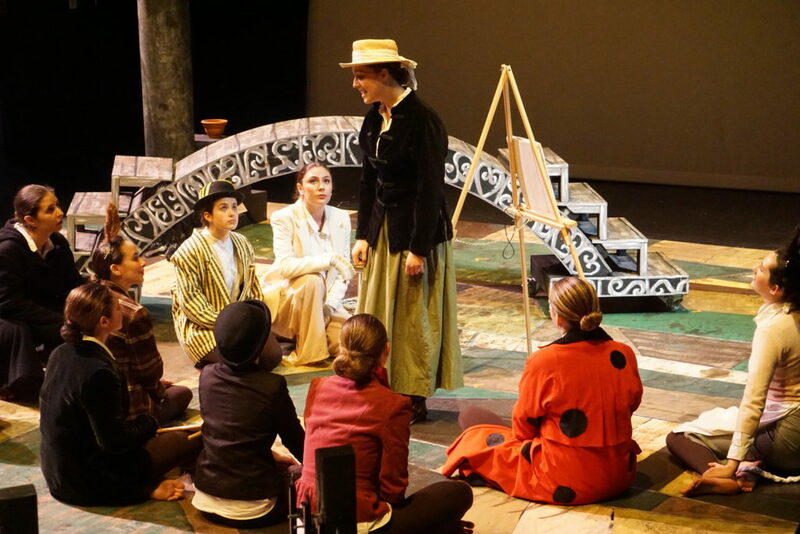 CTE’s production was directed by Bay Area Theatre Artist, Molly Noble, and featured advanced acting students playing multiple roles. Thank you for coming to see our 2017 long-form improv show! 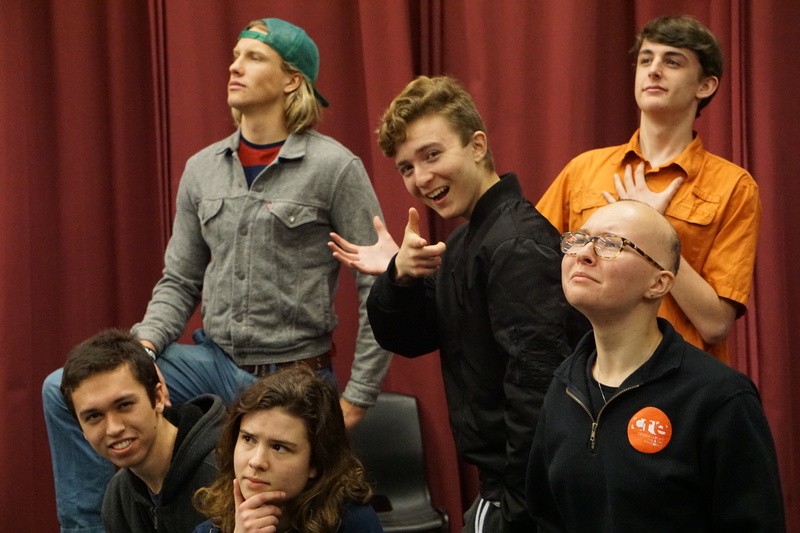 Our student-acted improv was facilitated by guest artist Regina Saisi. Thank you for coming to see Jemima Puddle-Duck and Peter Rabbit!